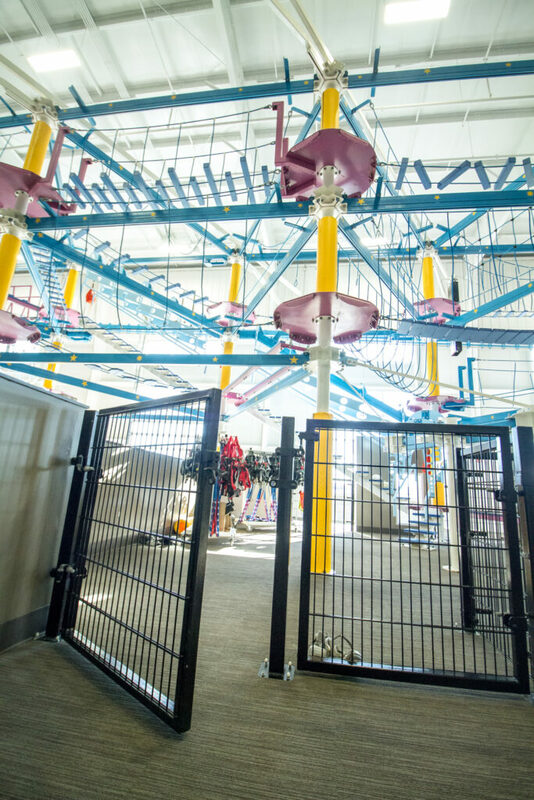 3-Story Ropes Course – Silverlake "The Family Place"
Our 3-story Ropes Course is a unique part of our KidsQuest child care space. 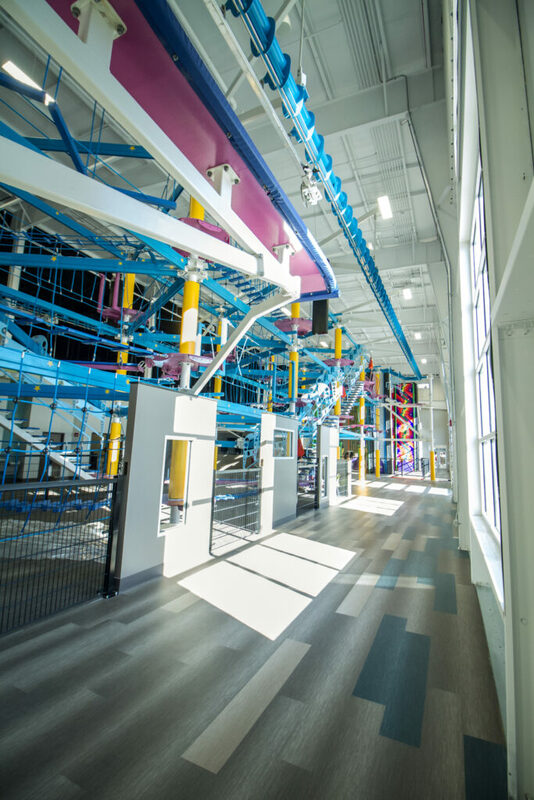 It features two separate ziplines along with a maze of different features sure to challenge and excite kids from 3 and potty trained to 12 years old! 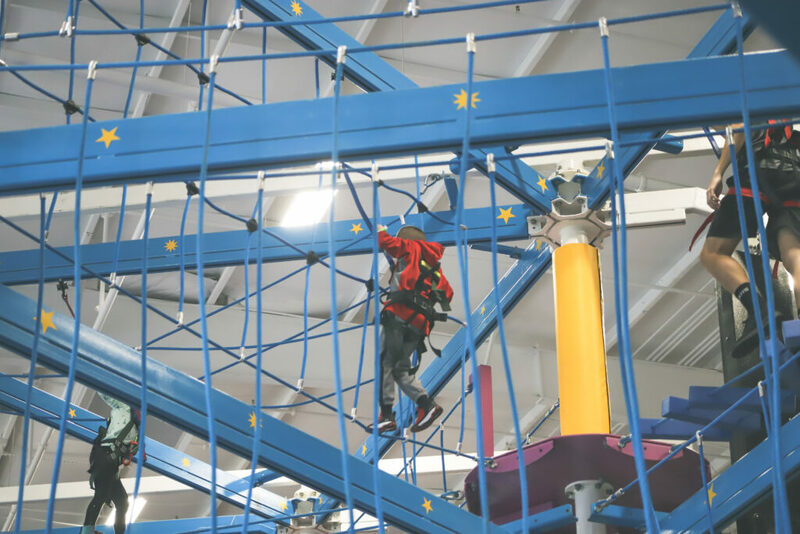 Children are securely harnessed and able to ascend to comfortable heights without the need of a chaperone, but are safely monitored by Ropes Course staff throughout the course. 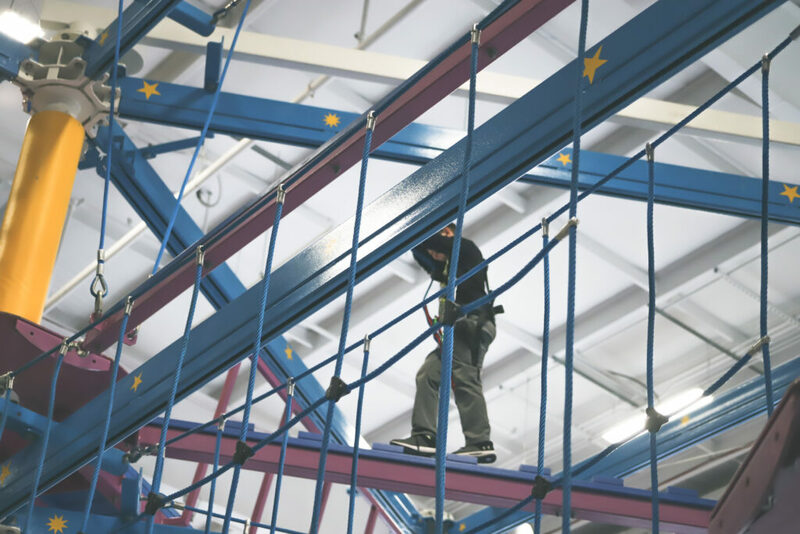 The Ropes Course can accommodate 50 climbers at one time, and is available at the below listed times currently.